Focus groups is type of group interview designed to explore peoples attitudes. It can be used to find out what issues are of most concern for a community or group when little or no information is available. They are a very common technique but are can be poorly executed unless well planned and facilitated. "Focus groups aim to discover the key issues of concern for selected groups. Discovering these issues can help determine which of a number of options is the preferred way forward, or to determine what are the concerns that would prevent a proposal going ahead. The focus group may also be undertaken to discover preliminary issues that are of concern to a group or community, and on which to base further research or consultation. Focus groups should deliver detailed knowledge of the issues that concern a specific demographic or community." Richard Krueger and his colleagues at the University of Minnesota prepared this short video in 2004 to demonstrate a focus group interview. The video illustrates some of the techniques used when moderating. You can find more resources on focus groups by Richard Kruegar on his website. A focus groups enables a group of people to discuss an issue in a structured manner. Who attends – normally a homogenous group of 8-12 people who are randomly selected. Focus groups are useful for probing a topic in-depth and generally last about 1.5 – 2 hours. The Engagement Toolkit: Page 39 of this resource provides detailed estimations of the costs, time and resources needed employing this option.It also provides a step-by-step practical guide for its application. Thanks for your comment. You might find some of the resources on BetterEvaluation for Focus Group useful in this regard. 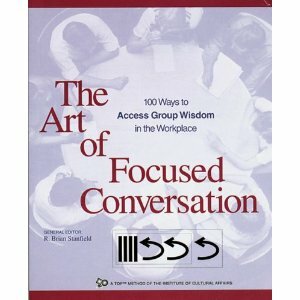 One which comes to mind is this guide to conducting focus groups, or the Engagement Toolkit.